What is Albinism? is a disorder in the production of melanin which causes a person to lack melanin or even has no skin pigment at all. This condition causes the color of the hair, skin, and eyes of the patient to look very pale or tend to be white. Albinism can also be suffered by ethnic groups anywhere in the world. The term "albino" is generally more familiar to the people, which refers to sufferers of this disorder. Although albinism cannot be cured for life, this condition does not prevent the sufferer from living a normal life. The skin and hair color of albinism sufferers varies, depending on the level of melanin produced by the body. Although albinism sufferers that we commonly encounter have characteristics of pale skin with white hair, there are also some who have brown hair. 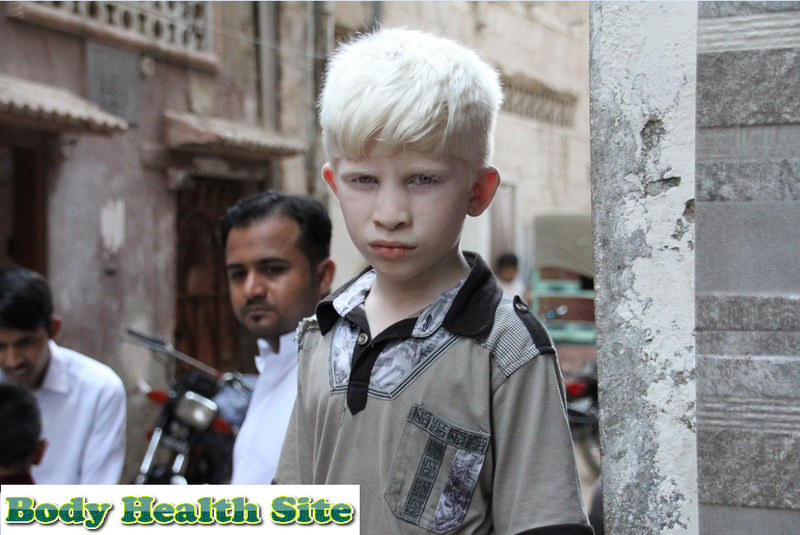 Lack of melanin pigment can cause albinism sufferers to burn easily if exposed to direct sunlight. For patients with albinism, sun exposure should not be underestimated because it is not impossible to lead to serious complications, namely skin cancer. In the eye, the lack of melanin pigment can not only change the color of the iris (generally becomes gray or pale blue), but can also cause the view to be disturbed and sensitive to light. Some examples of eye disorders that can arise from albinism are farsightedness, farsightedness, astigmatism, squinting, and eyeball movements without control from side to side (nystagmus). This visual impairment can affect a baby's ability to learn movements, such as crawling or taking an object. Often times albinism sufferers look awkward due to interference with their vision. Albinism is caused by a change or mutation in one of the genes responsible for the production of melanin by the cells of melanocytes that are present in the eyes and skin. As a result of this gene change, melanin production is disrupted, both drastically and completely absent. Changes to this gene will be derived in various patterns. There are two types of albinism based on emerging symptoms, namely ocular and oculocutaneous albinism. Ocular Albinism has an impact on the eyes and vision of the sufferer, not or little cause discoloration of the skin or hair. Whereas oculocutaneous albinism is one of the most common types of albinism in the world. This condition will affect the eyes, skin, hair, and vision. Albinism can be diagnosed directly by a doctor since the patient is born through their physical characteristics (hair color, skin, and eyes) according to what has been explained in the subtitle of the symptoms and types of albinism. To find out if there is a problem with vision, an ophthalmologist can do several checks. For example, an examination using a special tool called slit lamp, checking the pupils, examining the shape of the corneal arch to diagnose the cylinder, checking the direction of the eyes to diagnose squints, and checking eye movements to diagnose nystagmus. Even though there is no medicine that can cure albinism, treatment or treatment is intended to maximize the patient's vision and protect their skin. Most babies with albinism suffer from severe vision problems for several months after birth. After that, vision will develop significantly even though it will never reach a normal level of vision. Therefore, albinism sufferers usually have to wear glasses or contact lenses for a lifetime by an ophthalmologist in accordance with related conditions, for example those specifically for nearsightedness, farsightedness, or cylindrical eyes, and must undergo regular eye examinations at the eye doctor every year. In certain albinism sufferers who experience photophobia (sensitive vision to sunlight), doctors will definitely recommend using glasses that can ward off ultraviolet light or glasses with dark lenses. For handling albinism through surgery it is usually very rare. But for some conditions, such as squint and nystagmus, surgery to repair eye muscles can be recommended so that these conditions are not clearly visible from the outside. In addition to eye examinations that must be done routinely every year, skin examination is also important for albinism sufferers so that doctors know how much they are at risk of developing skin cancer, as well as providing prevention recommendations. If you suffer from albinism, as much as possible do not do activities outside the home when the weather is sweltering. If you are forced to go outside, always use sunscreen and clothing that can protect yourself from direct sun exposure. Emotional stability and fostering social relationships with people around is a challenge for people with albinism. Albinism sufferers will look different from their families, this can affect their feelings. Albinism sufferers can feel strange or considered like a weirdo. Albinism sufferers can also be mocked about their appearance, ranging from getting an albino designation or other designation, to being questioned about the appearance of their skin and hair, to the appearance of their glasses. All of these things can cause albinism sufferers to be stressed, inferior, and feel isolated from the surrounding environment. Skin disorders experienced make albinism sufferers more susceptible to sunburn and skin cancer. Albinism cannot be prevented. For those of you who have a family history of albinism sufferers, have children with albinism, or you yourself with albinism sufferers are advised to consult with a geneticist. This consultation aims to understand the opportunities for albinism to occur with children, grandchildren, grandchildren, or subsequent offspring.